India’s maternity benefit law, which has been hailed as one of the most progressive reforms in the country, may result in a net job loss of 11 to 18 lakh woman, a bloomberg report said quoting a TeamLease study. The law, which raises the paid maternity leave from 12 weeks to 26 weeks, will probably lead to job losses and discourage smaller businesses and start-ups from hiring women, the survey by TeamLease Services Ltd. said on Tuesday . Why is this law proving to be counter-productive for women? “The Maternity Benefit (Amendment) Act 2017 positions India as the third most progressive country after Canada and Norway. 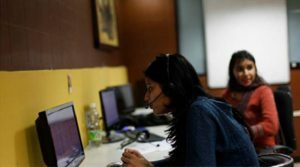 However, the bill, in spite of having intent to benefit the women workforce, has been counterproductive to the new women workforce participation in the next 1-4 years,” Times of India quoted TeamLease Services Co-founder Rituparna Chakraborty as saying. The survey was conducted among 300 employers across sectors like aviation, information technology and IT-enabled services, real estate, education, e-commerce, manufacturing, banking and financial services, as well as retail and tourism. While large and professionally managed companies will back the reform measure, some sections of SMEs which include manufacturing and services businesses may resort to unethical practices such as decreasing the salary upfront at the point of hiring as well reduce intake of women, the study noted. This could further diminish women’s workforce participation which has already shrunk to around 24 percent in the fiscal year ended 2016 from 36 percent a decade earlier. In the eight years since 2004, about 20 million women — the size of the combined populations of New York, London and Paris — vanished from India’s workforce, the World Bank estimates. In socially conservative India, even well-educated women are often discouraged from pursuing a career. It’s usually a women who have to sacrifice their jobs to serve the family. While some quit their job after maternity, others drop out to take care of older family members.